Continuing our 'vendor series' reviews, we take a look at Kentico's latest offering - Kentico Cloud. An API-driven headless CMS that lets you manage your content and deliver omnichannel experiences with powerful content collaboration. In the first of the series, we talked about the company Kentico and its core product Kentico CMS. A few years ago Kentico decided to branch out and extend their offerings by releasing Kentico Cloud. Kentico Cloud is a cloud-first content management system and is their first full outing into the software as a service world. Another popular term use to describe this is a ‘Headless CMS’, but what is it? In the world of CMS’s, the Headless variation is still the new kid on the block. While they have been around for a few years now, the market share of actual usage is still fairly low. From one piece of research carried out by Kentico, 29% of their sample set suggested that they already use Headless in some capacity. The expectation is, as the internet of things becomes more popular and the related device usages grows, the need for more omni channel content will be required. This is where Headless comes into its own. The beauty of Cloud, or most headless CMS’s is that no installation is required. At least none from an admin point of view. Kentico cloud is fully hosted by Kentico, upgraded and maintained. The only thing you need to be concerned with is how you want to handle the front end implementation. I think that there is still some hesitation among companies to hand over responsibility of maintaining and hosting their CMS with 44% of people still hosting on their own servers. This doesn’t come as a surprise as historically, we personal have come a foul to third party providers having issues. 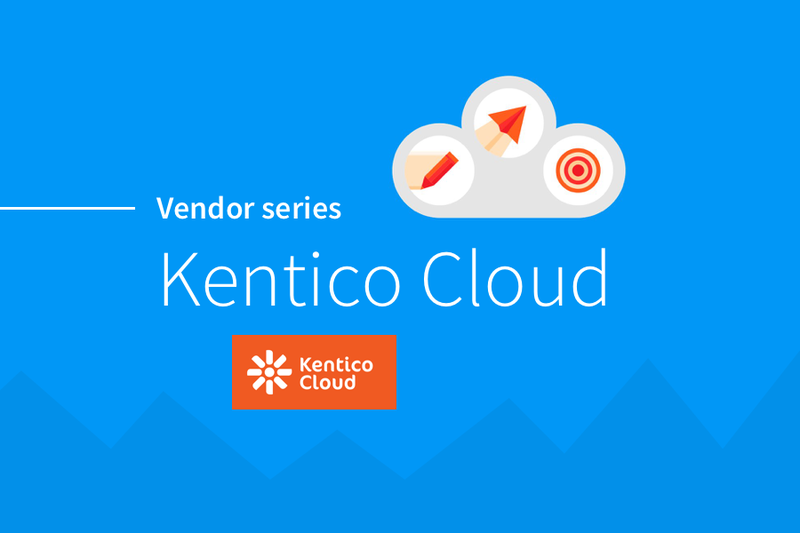 Out of the box, Kentico Cloud/Headless is easy to pick up and use. Compared to it CMS sister, its heavily focused on content only, removing a load of functionality, marketing and ecommerce etc. Kentico Cloud is still a fairly new product in the market place and is still under going regular, significant changes. I think its fair to say that the first few iterations had some down falls in the ease of use stakes, such as their media library. Since then, the UX side has gone from strength to strength. There are still a few bits where you may need to refer back to the use guide, but these are few are far between. A non-technical person is easily able to create rich content for their site/application in a collaborative manor, utilise workflows and manage content assets. The downside from a marketers point of view is due to the content being structured, more thought and development resource is required to create the page templates for the site. While this may be a negative for marketers, it’s a positive for developers and product release processes. A headless CMS does nothing more than manage content and deliver that content to an application of some type. With that in mind, Kentico Cloud has a wide range of potential applications. The first most obvious use case is delivering content to a website/web application. I believe to date, this the most common use case for Kentico Cloud. Due to its restful API delivery, it can also be used for Omni-Channel publishing which is where the content is pushed into multiple channels such as web, mobile, print etc. This is where the Headless option become really powerful, tying the same website content into a Alexa or Goggle home app could have great advantages, though its still to fully be adopted to cove this use case. It has been named a challenger in the Gartner Magic Quadrant 2016, 2017 and 2018. As mentioned above, Kentico are constantly updating their Headless offering, continually improving its capabilities and potential. Some of the features in their current road map include real-time collaboration, more control over rich text areas and adding a full-text search. Their major push is to make the platform the most advanced content authoring experience possible.